I confess that I am a Christmas nut. Feeling festive is one of my happy places, it makes me feel warm and gooey inside. So making the most of the season is an absolute must for me. 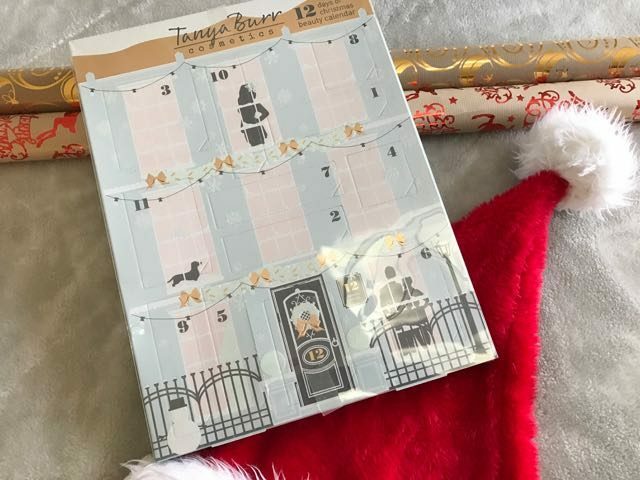 December obviously has to kick off with an Advent calendar. When Grace and Reuben were little I didn’t ever want to get the normal calendars I wanted something a little different. 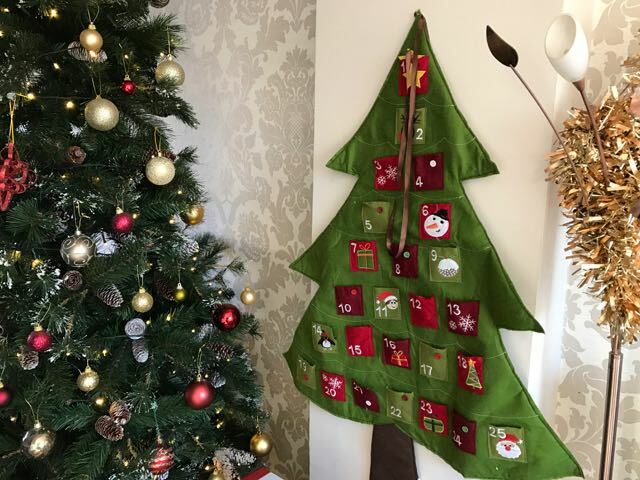 We had a felt christmas tree which the elves would pop a little treat in every night. So I thought hard about advent and how we could make it special. 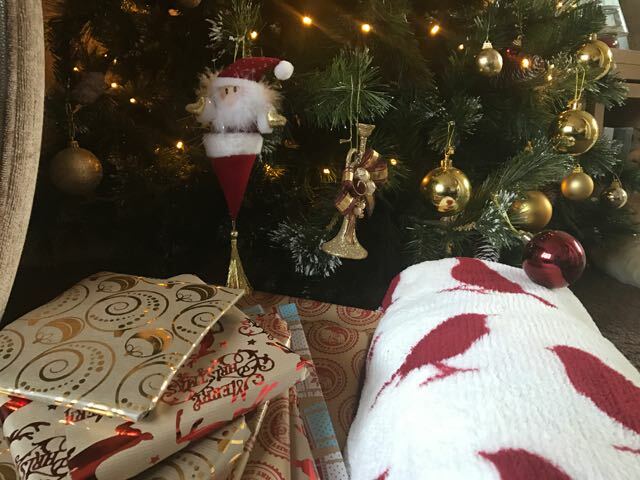 I came across an idea online of wrapping 24 books and popping them under the tree. Pop a cosy blanket next to them and you have a book to unwrap and read every night till christmas. This is easily my favourite tradition now. The children love it and even though we do read most nights. Picking the wrapped book and not knowing whats inside is supper exciting. Obviously we still all like chocolate though so we relented and let the elves bring them a nice chocolate one in their first of December hampers. This year we are also having an Elf come and stay (we have never had one before) so this year we will have lots of fun with the elf and I’m sure lots of treats. I don’t like to leave us adults out as its just as much for us as the kids. 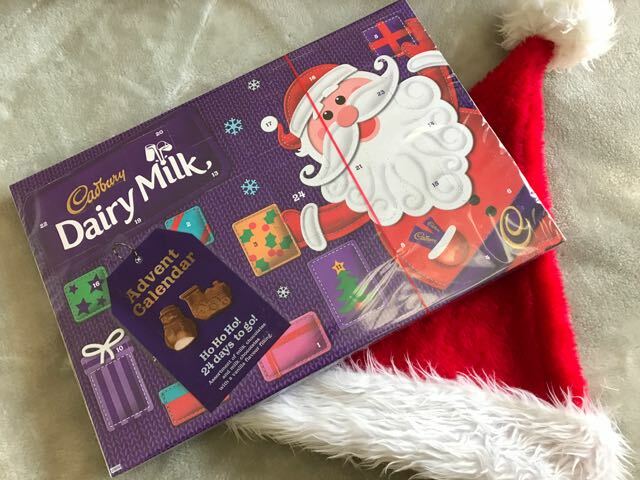 Adam and I have a big dairy milk Advent (I don’t like little chocolates). We also have a yankee candle one (by we I mean mostly me lol) You can’t beat having the christmas lights on and burning a festive scent. And last but not least I have treated my self to a beauty advent this year. Nothing over the top just a Tanya Burr (she’s a youtuber) one which will have some lovely little makeup bits in. I think most of my days may be spent on advent but it all adds to the magic. 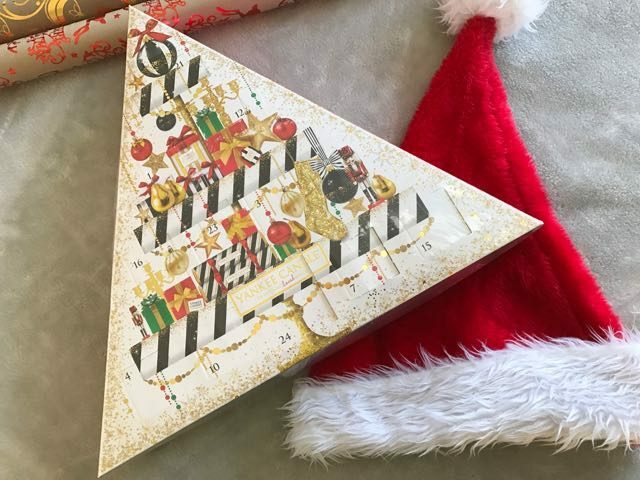 How do you count down to christmas? Do you have a favourite calendar?